Arguably the earliest written work of feminist philosophy, Wollstonecraft produced a female manifesto in the time of the American and French Revolutions. This era induced many to reconsider not only the rights of men, but also of women, and none argued for female emancipation more eloquently or effectively than Wollstonecraft. Her strong use of analogy and philosophical language compared women of her day to both slaves and soldiers: forced to be docile and decorative. 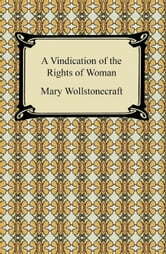 Wollstonecraft is passionate and candid as she lays out the principles feminine freedom, stating that education should be equal, there should be an end to the prejudices that proved so restrictive, and that women should be defined, not by their partner, but by their profession. 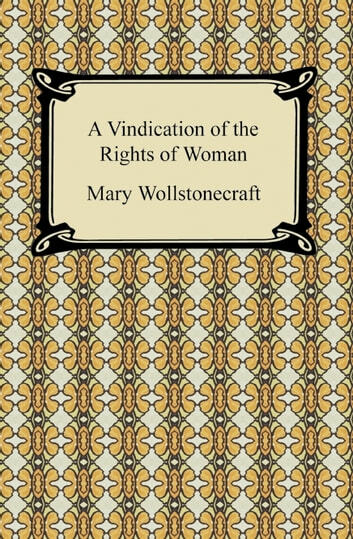 Although received with both approval and anger, "A Vindication of the Rights of Woman" was ahead of its time, even modern, in its ideas, and it continues to be a foundational work for those who support women and equal rights.